Last week, about 100 people protested outside Bukit Aman against the police’s mistreatment of Amer Hamzah Arshad, a lawyer. Haris Ibrahim at the People’s Parliament recounted the story of how one of his friends criticised the organising of the protest as somehow linked to PKR. I was one of the main organisers of this event. When Haris’ friend said we are affiIiated with PKR, I presume she is referring to the fact that over the years I have worked closely and very publicly with PKR and its people on human rights issues. The fight for Freedom in this country, has been a long hard fight, with no end yet in sight. And some of the most dedicated and selfless fighters in this cause have been PKR women and men, with whom I have had the great privilege to work with. They were Resolute at a time when the only thing one could expect from being in the opposition, was arrest, imprisonment and beatings. Some of the finest human beings I have met are in opposition politics. To suggest that it is somehow below us lawyers to associate ourselves with the likes of these people, is a slur I cannot let pass without remark. In any event,how will joining hands with the political opposition in taking up a just cause, a cause such as Amer’s, prejudice the independence of the Bar? Surely, we must be judged by the quality of the cause we take up, and not by who we join hands with in taking it up. In the twisted rulebook of the Government,the Bar must not associate itself with the opposition, no matter what. Are we so many sheep that we must follow their odious self-serving rules? Following the protest on Wednesday, words or rather accusations have been flying around. It happened to reach my ears and I have the urge to bring this up so that every lawyer who attended yesterday’s protest has the right to defend themselves. It never fails to amuse me since the day that I started practice to hear lawyers commenting, “Hey that event is led by someone who is affiliated to Parti Ayam, therefore it is not apolitical!” I choose to refrain from commenting further on this as repetition is extremely tiring. Some went on further to say that holding banners on that day was nothing but “full of s***”, “cheap publicity for political mileage within the bar” “cheap publicity to gain clients” and so on and so forth. For one second, I couldn’t believe that these remarks came from members of the bar. We talk so much about “merakyatkan perlembagaan” but we ourselves do not bother to learn what the right to peaceful assembly is all about. My parents did not send me to law school just to read law so that I can just go to court to argue cases and tadaa! – Constitutional history is made and the rakyat have learned their rights! Being a lawyer is more than that. Being a lawyer takes more than that. Look at history, how activism has changed the course of human civilization. In other parts of the globe, lawyers walk with the people, they hold banners with the people because they want to send a strong and visual message to the world that something terribly wrong is happening. At the same time, they go to court to assert their clients’ rights, to challenge the (unjust or oppressive laws) law and they try their level best to bring positive changes to the law. They get arrested in court houses, and are charged and then sentenced to death by tribunals set up by their fascist government to dilute the intervention by the court. They are quite lucky that their fascist government tried so hard to keep the court out of the sight as this indicates that their judiciary is reasonably transparent. Unlike us, at least for me, I have lost my confidence in the judiciary in toto and that trust can only be built up again from scratch once UMNO/BN is completely ousted by the people. On the day of the march, I overheard a lawyer remarking something to the effect of, “Don’t call me an activist, ok!” I thought that lawyer was joking. I thought it wrong. After hearing all these accusations, yes, that particular lawyer meant it, I do take this personally and will remember this as long as I live. This is not because I “terasa” with such statements as I am nowhere near wearing the “title” activist. It is because I believe you don’t insult the activists. Don’t make such derogatory statements, since being an activist is not something that all of us can do. It takes courage, commitment, a deep appreciation of humanity and a modicum of selflessness. Yes, they fight on the streets. Yes, they carry banners. They want the media to capture images of the banners so their cause is publicised! So that their message reaches the masses. They work with everyone regardless of a person’s political affiliations in order to further their cause. They don’t waste their time asking questions of whether they should be political or apolitical. The cause is what matters to them and it is a coming together of like minded advocates. For a person to be referred to as an activist is, to me, a great honour. Some of them they may not have read law, they might not wear bespoke jackets and hang out at expensive restaurants like some of us, but please don’t undermine their efforts. Please don’t forget that there are also activist lawyers amongst us that don’t deserve to be belittled by their fellow friends and counterparts. On the banner issue, trust me, you have no idea what a picture can do to benefit those who are out there. Cliched though it may be, a picture paints a thousand words. It succinctly puts a message across to the masses. I won’t blame you if you choose not to be like them, but don’t you ever belittle them. I think Amer made it clear that the protest was not about him, it’s about the peoples’ right to legal representation and unimpeded access to counsel. I was there for the people. Posted on 6 April 2010. You can follow any responses to this entry through the RSS 2.0. Read more articles posted by Fadiah Nadwa Fikri. You all are a bunch of insipid, pedantic and hopelessly lost lawyers. In arguing this rubbish, you all have managed to cheapen the so call protest. And no less in full public viewing. If these are the values and quality of “activists” and “activism” in Malaysia, God help all of us. Geez…the conversations lawyers have can be strange to the "activist-lawyer"! Even in China man…lawyers are doing womderful stuff in challenging state power.. sleepy…here but there is always HOPE. Thanks Fad for putting this up and I couldn't agree with you more. One issue that comes to mind is, if lawyers in the midst of discharging his/her duties to their clients gets treated as such, I'm sure it is worse treatment for the rakyat. The police have to know that they are not above the law and as lawyers if we see something is wrong, we stand up for it. I do not know how to be legally knowledgeable and trained and yet be a bystander when I see something amiss. Time and time again, clients has been denied access to lawyers and this must stop. And from Benjy's sister's article, the police even went on further to say to the family that there is no need to appoint lawyers, they can't do anything. Then what is left for the rakyat? What is the purpose of having lawyers? And as for the protest that was done on Wednesday, for me, there was a wrong – that most of us feel that should not have happened in the first place. To think even lawyers, would have to pick and choose what protest to attend – based on who/which party/institution organised the protest – is just sad. It should not matter who organised it, but we should attend based on principles. And what is the problem with the banner? I think it speaks more that just us standing there. At least it is documented to show what we want. If we chant and walk, they can just rub that off but you can't erase a picture with such strong words and I am sure that the pics are posted in a lot of places over the internet. Just in the abundance of caution and to deal with any possible misconceptions/potential misleading assumptions, our MyConstitution phase 7 on rights and the rakyat is due to be launched at the end of the year. Freedom of association is definitely going to be part of our “the Rakyat Guides” booklets taught as a constitutional right! Members on Rostrum who are also part of the Constitutional Law Committee and our Committee e-group will testify that the amount of support from members was positively deafening. We had so many young, energetic lawyers and students mobilised and turned up at protest to support the initiative and also to educate the police! MyConsti booklets were given to police personnel and some of them got quite fed up, having to repeat that they “sudah, dah dapat”! 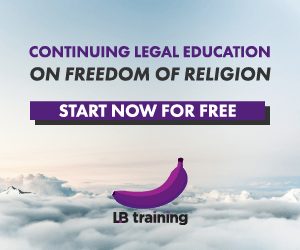 The position of the Bar – and as taken in Sivarasa’s case – is that the Bar is against the prohibition in section 46A of the LPA. We are not happy with the Federal Court decision barring political leaders from seeking election to the Bar Council. Every issue of injustice or justice, of law and order, or right and wrong, is political. Politics is about the fight to transfer more power to be used in the best interests of the people. If Perkasa says we should abolish the ISA, Perkasa deserves our support on the issue. If PKR says we should do away with the Bar, we should condemn PKR on the issue. And banners with diagrams, pictures etc. should always be done to complement all our initiatives! No question about this – it is only sometimes that we don't have time or resources to do the banners all the time. The Bar did those for our “Walk for Justice” and they became a symbol of our activism – many of them however are now in the locker rooms of the police and City Hall waiting for trial, and we should fight to get those banners back! With greatest of respect, aren't we slightly losing sight of the underlying issue that brought about the protest in the 1st place? The issue here was the highhandedness of the police in dealing with Amer who was only doing his job in representing his client. Unfortunately , this is not the 1st time certain members of the police have reacted against members of the bar in this manner. In my small brain, I think the issue is as simple as that. Now, of course in any protest, you will find individuals who are or maybe perceived to be linked to any political organization taking part but what has that got to do with the issue at hand? Now, politicians will be politicians and that is their right but is someone politically linked just because he appears in public and is critical of an institution? Is this what we have descended to?